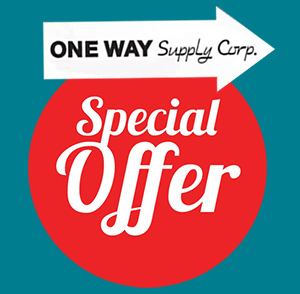 One Way Supply is one of the leading janitorial supply distributors. Unless you have been directly involved in the commercial service business you really have no idea how many products are needed to properly and safely clean and disinfect your kitchen, restrooms, and bar areas. While many folks think of that end of the business as secondary to the food, liquor, decor and equipment supplies, it really is not. Your business’s cleanliness can make or break it. For a restaurant, having a reputation for barely clean restrooms can be almost as bad, or even worse than having barely adequate tasting food. When looking for janitorial supply distributors, look no further. A bar with sticky surfaces or flooring, dirty restrooms, poorly vacuumed rugs or cloudy glasses, for example, will gain a reputation among the ladies, in particular, for not being a place they want to spend their Friday or Saturday night. And companies that do customer studies will tell you that a bar with few or no female patrons does not fare as well as one where the ladies like to come. If the number of female patrons is good, the men will follow. With healthcare being such a popular topic in today’s world, hospitals and nursing and rehabilitation facilities are under greater scrutiny than ever. For medical care administrators, keeping a bacteria and infection free facility is paramount. 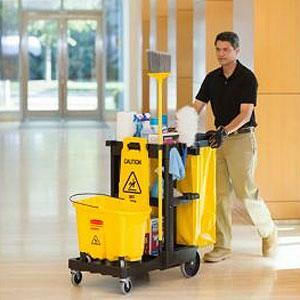 Good, safe, quality janitorial supplies are important to you, so they are important to us. Here at One Way Supply, in Patchogue, Long Island, we know how precious your time is to you and when you come to our showroom we want you to be able to make most of your non-food purchase with us, including your janitorial, chemical and paper supplies. We truly want to be your “One Way One Call” supplier.